This has undoubtedly been the most difficult journey study I’ve written. Likely, it’s the most difficult piece of work I’ve written in my entire life. From the age of 5, I grew up in the backyard neighborhoods of Parowan, Utah, known as the “Mormon Mother Town.” I spent many days with my beloved grandparents, befriending the city’s pool lifeguards, performing shows for my grandparents’ neighbors, and playing with children along their street. I often refer to Mormons as “my people”. There’s simply no other way I can describe the connection I feel with anyone who calls Mormonism their religion. Some of my best friends in high school were Mormon, my neighbors were Mormon, my co-workers were Mormon, and I have many family members who are Mormon (not my grandparents). Mormons are truly, my people. Mormonism is one of the fastest growing religions in the world. If you think you don’t know someone attending the “Church of Jesus Christ of Latter Day Saints”, chances are, you actually do without knowing. You’ve probably seen Mormon missionaries walking the streets, perhaps you’ve taken time to talk with them. And they gave me a God who didn’t have three persons. So, I said, ‘Whatever it is we want to talk about with faith, grace, and Christ, let’s just get this straight, we have a different God. And I said, ‘Then let’s make this clear, we have a different Christ. ‘You would need to join the Mormon church, you would need to evident certain obediences and baptize by a certain spirit-endowed baptism.’  And I said, ‘We have a different Gospel. Recently, I had the opportunity to visit Parowan. The trip felt somber and holy to me; I wasn’t the same person I’d been when I’d left for college. secure in my identity in Christ. Mormons use many of the same terms we do when discussing our faith. When we study the Bible, we learn the definitions of those terms, and are able to recognize it when definitions don’t match. With that said, I want to remind you what the Bible, our only source for truth, says about God the Father, Jesus, and the Gospel. 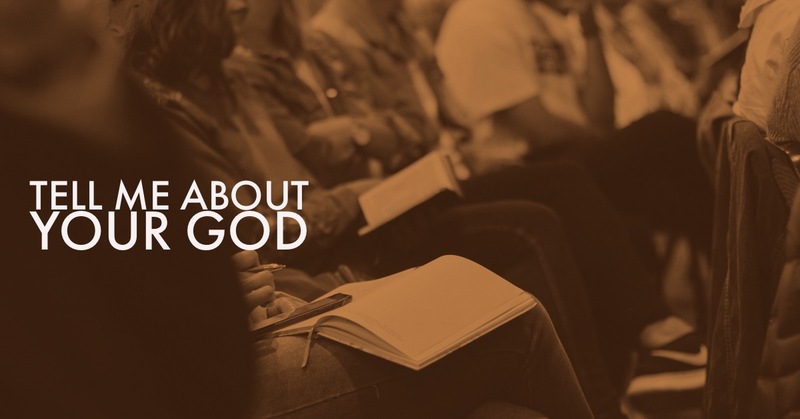 The Bible teaches God is a triune God: God the Father, God the Son, and God the Holy Spirit, Each person is fully God, co-equal with one another. Each are persons of the One, Same, Unified God. Three persons, one God. 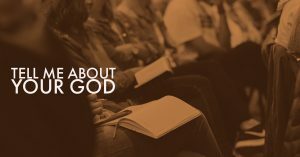 God, as a whole, is a creating God, but God was never created; He has eternally existed as God, which John discusses in John 1. God is a good God, who never wanted death, disease, or destruction to exist, but because of our great sin, God implemented His plan of redemption. 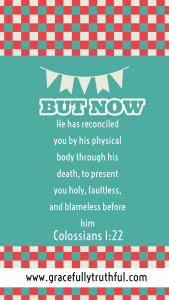 Everything in Scripture points to Jesus, His sacrificial death on our behalf, which is even acceptable as an atonement for our sin because He is fully God, and even further… His resurrection from the dead! God perfectly mastered the details of history, over a span of thousands of years, fulfilling His plan to save us. He was born a miraculous conception through the Holy Spirit. Because God speaks and galaxies are formed, He spoke, and Mary was pregnant with Jesus who was 100% man and 100% God. He is God. He and the Father are one. It makes no sense for a Being who holds all things together to Himself be created. The Gospel is the Good News that Jesus died for our sins, then conquered death as He rose from the dead! We are full of sin. Every thought, action, word, and motive that is less than perfectly holy is sin in the sight of God. Because God is perfectly holy, it is literally impossible for sin to be in His presence. As a result, we are hopelessly separated from Him. precisely because He is both fully man and fully God. then ROSE, forever conquering death! There is no work, not even baptism, we can do to “earn Heaven”. Once we ask Jesus to be Lord of our lives, then God is IN us. He begins changing us from the inside out! THAT is why Christians are often found serving and loving others. Not because we are trying to earn our way to Heaven, but because we are becoming more and more like Jesus. the best way to represent the Lord Jesus is to remember that we are Jesus with skin on. We might be the only Jesus that people ever meet (because He is IN us!). As we engage with our Mormon friends, don’t be timid in talking about the Lord. Don’t shy away from praying with friends or inviting them to church, regardless of their religious beliefs. Most of all, study the Bible, spend time with the Lord so you know HIM and you know TRUTH. Invite others to “tell me about your god”, and see where the Lord takes you! Thanks for joining us today as we journeyed into Roads Week One! Don’t miss out on the discussion below – we’d love to hear your thoughts! Here’s a link to all past studies in Roads!